Tourism Australia (TA) launched a new $50-million advertising campaign based on the upcoming Baz Luhrmann film Australia, with a press conference held at Sydney's Dendy Opera Quays on Wednesday (October 8). Tourism Australia (TA) launched a new $50-million advertising campaign based on the upcoming Baz Luhrmann film Australia, with a press conference held at Sydney’s Dendy Opera Quays on Wednesday (October 8). The press conference included a screening of the Eastern and Western versions of the walkabout-themed TVC targeted at Asian and European target markets, respectively. The TVC sees stressed-out executives in New York and Shanghai rediscover themselves after impulsively purchasing a holiday to Australia and soaking up the ‘transformative’ power of the outback. It is geared to capialise on the wave of publicity that will accompany the cinema and DVD launches of the 2.5-hour epic staring Nicole Kidman and Hugh Jackman. But observers believe the global financial crisis has made consumers less likely than ever to go on holiday at the drop of a hat. “[Hotel] occupancy rates are certainly dropping, and when you have those situations, rates become a little sharper,” Orient Express Hotels regional manager, Patrick Griffin, told The Australian Financial Review. Media representatives attending the launch also took Buckley to task, questioning the wisdom of revisiting the tried and tired outback theme that worked wonders for Australian tourism two decades ago following the launch of Paul Hogan’s Crocodile Dundee. They also derided TA’s choice of the Kimberley as the focus of the campaign, saying the region’s limited transport and accommodation infrastructure was a severe impediment to tourism growth there. The new campaign will be shown in 22 countries until mid-2009 across TV, cinema, print and online mediums. To see it online, click here. 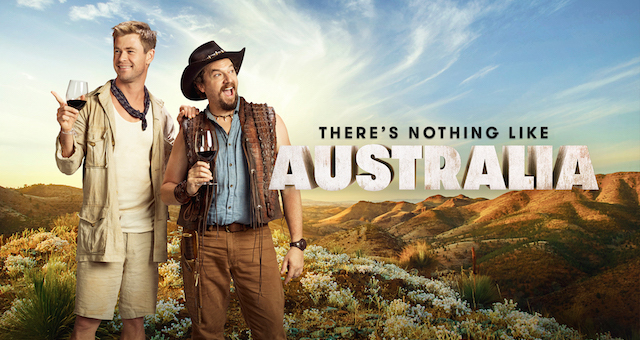 Tourism Australia launched a new Crocodile Dundee-inspired campaign at yesterday's Super Bowl in the US.